Nintendo has announced that more than 22.86 million Nintendo Switch consoles have been sold worldwide, which has seen the portable home console now outsell both GameCube (21.74 million) and Wii U (13.56 million). 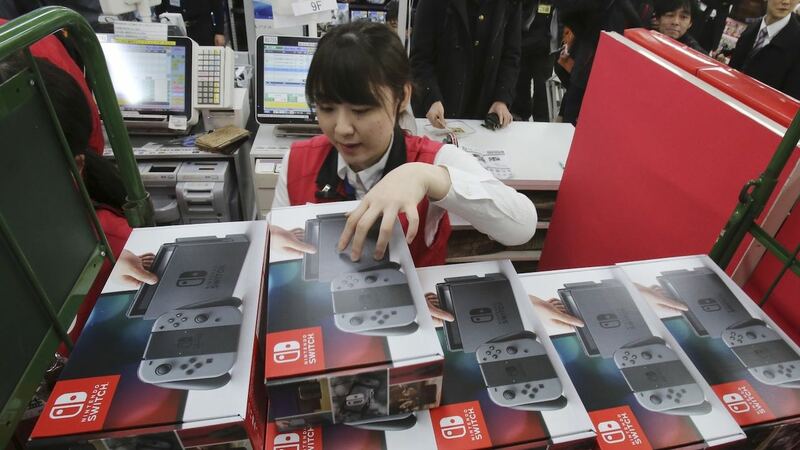 In the last six months, 5.07 million Nintendo Switch consoles have been sold which is a 3.7 percent increase on a year-on-year basis. Nintendo Switch software sales in that same period reached 42.13 million units, which was a 91.3 percent increase compared to last year. The company has sold more than 111.10 million Nintendo Switch games, and, if you want to know which are proving to be most popular, Super Mario Odyssey has sold 12.17 million copies, Mario Kart 8 Deluxe has sold 11.71 million, The Legend of Zelda: Breath of the Wild has sold 10.28 million, while Splatoon 2 has sold 7.47 million. Meanwhile, 1-2-Switch has sold 2.64 million, Mario Tennis Aces has sold 2.16 million, ARMS has sold 2.10 million, Kirby Star Allies has sold 2.10 million, Donkey Kong Country: Tropical Freeze has sold 1.67 million and Xenoblade Chronicles 2 has sold 1.53 million. Nintendo will now look to maintain the strong momentum behind the portable home console, with Pokémon: Let’s Go, Pikachu! and Let’s Go, Eevee! and Super Smash Bros. Ultimate.